The success of the Navy Yard redevelopment is rooted in a foundation of sustainability. 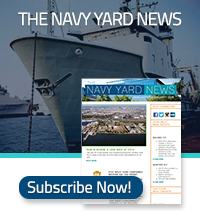 Acknowledging the importance of energy in any large-scale development such as the Navy Yard, an energy master plan was also created at the same time as releasing the 2013 Update to the Real Estate Master Plan. Today, the Navy Yard is a catalyst for energy innovation in the region and a national model for sustainability. Its Smart Energy Campus represents a groundbreaking convergence of private businesses, universities, and government, investing collaboratively in the energy-saving technologies of the future. As one of the largest East Coast non-military, unregulated electric distribution systems, the Navy Yard’s assets and infrastructure make it a uniquely attractive place for businesses, with an emphasis on energy, energy efficiency, and sustainability. It offers the region’s most densely populated collections of privately-owned LEED®-certified buildings, a 35-megawatt unregulated electric grid that is host to some of the nation’s leading smart grid research, and an innovative network of stormwater technologies built into the street grid. Those physical assets, coupled with the collaborative nature of the Navy Yard’s diverse array of businesses and organizations and the commitment of leadership, make this green campus an ideal setting for demonstrating and deploying energy-efficient technologies, energy generation and storage, and microgrid controls and distribution.